In 1863, Queen Victoria decreed that Edward, Prince of Wales, should marry Princess Alexandra, daughter of the obscure and unsophisticated heir to the Danish throne. The beauty, grace and charm of Prince Christian's daughter had prevailed over the Queen's intense dislike of the Danish royal house, and had even persuaded the embarrassingly difficult Bertie to agree to the match. Thus began the fairy-tale saga of a family that handed on its good looks, unaffectedness, and democratic manners to almost every royal house of modern Europe. For, in the year that Alexandra became Princess of Wales, her brother Willie was elected King of the Hellenes ; her father at last succeeded to the Danish throne; her sister Dagmar was soon to become wife of the future Tsar Alexander III of Russia; and her youngest sister Thyra later married the de jure King of Hanover. 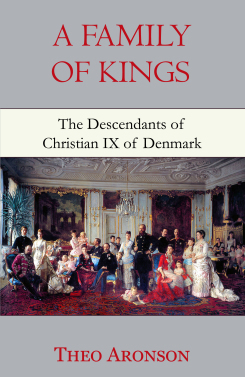 A Family of Kings is the story of the crowned children and grandchildren of Christian IX and Queen Louise of Denmark, focusing on the half-century before the First World War. It is an intimate, domestic study of a close-knit family, the individual personalities, and the courts to which they came. Without doubt, the chic and beautiful Alexandra epitomized the spectacular flowering of the Danish dynasty; and just as she brought an unprecedented popularity to the sobriety of the English court, so her brothers and sisters helped enliven the staid European scene. 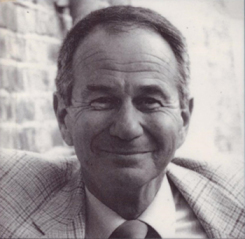 The outstanding success of Theo Aronson's previous book, Grandmama of Europe, confirms his reputation as a chronicler of the fortunes of Europe's ruling houses. A Family of Kings bears the hallmark of the author's remarkable talent, and provides a fascinating evocation of the splendour and extravagance, and not infrequent tragedy, of nineteenth and twentieth century royalty.